Now we Fight for Answers! 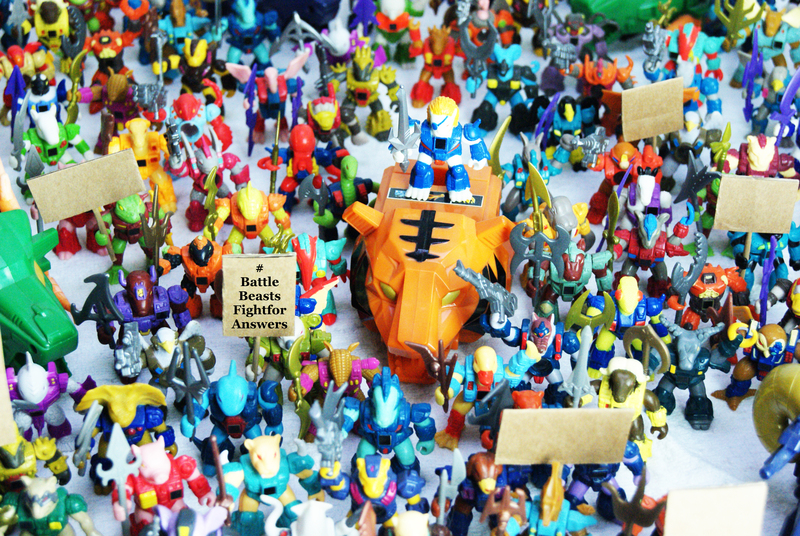 How could Hasbro ignore a shout-out for HELP of such a colorful, well preserved and harmless army of Battle Beasts that´s completely driven and motivated by nostalgia and which after all these years is still Battling for Fun!? Over the years the Battle Beasts community has been able to connect a lot of loose puzzle pieces and stories that were fragmented all over the place and some of the back-stories have been (partially) filled in. The Beastformers Archaeology (BA) Project, founded in 2014, has so far made some important steps towards a proper preservation of the information about this toy line as well but even with all these efforts some answers have remained unanswered… Let´s hope Hasbro will appreciate this gesture allowing us, on behalf of the Beast and the rest of the community, to ask them a couple of questions to clarify the true background stories once and for all so they can be preserved and shared for the future in the correct way. If you happen to be working at Hasbro Pawtucket currently, or know someone who does, please help us out by getting us in touch with the right department or person within Hasbro who´s able to answer questions about this vintage 80´s Boys Toys line. All help would be much appreciated! The Beastformers Team has a couple of lines out with former Hasbro employees already so with this Battle Beasts inspired Manifestation we are mainly aiming at Hasbro directly although if you happen to be or know a former employee who has been working on the Battle Beasts line and he or she has not been contacted by us yet please let it know as well. Let´s ensure that the Battle Beasts will be preserved and enjoyed for many years to come. 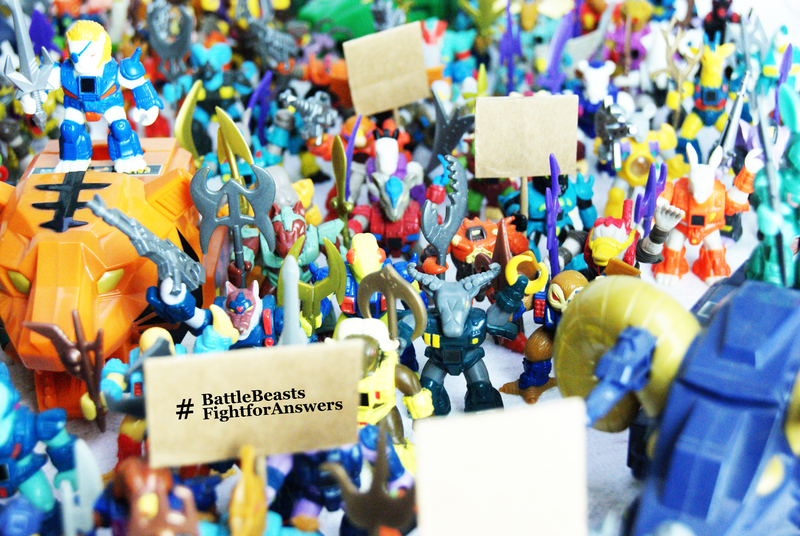 This entry was posted in NEWS and tagged #AskHasbro, #battlebeasts, #BattleBeastsFightforAnswers, #beastformers, #Beastformersproject, #Childhood, #hasbro, #history, #LaserBeasts, #nostalgia, #RequestforHasbro, #vintage, BeastformersBlog. Bookmark the permalink. The Beastformers Blog in 2017!